Dr. Wybenga graduated from Shepherd High School in 1982 and a few short months later she started her college career at Ferris State University where she graduated from the Dental Hygiene program in 1985. Dr. Wybenga developed a passion for dentistry while she was working as a Registered Dental Hygienist. After 10 years in that career she made a decision to further her education and become a dentist. She graduated from University of Detroit Mercy with her Doctor of Dental Surgery Degree in 2001. She had already firmly planted her roots in the Mt. Pleasant area so it was an obvious choice to open her dental practice there. She is committed to providing most excellent dental care to each patient she encounters. Her attention to detail contributes to the success of her practice. Dr. Wybenga is a member of the Michigan Dental Association, American Dental Association, Chicago Dental Society, and the 9th District Dental Society. Her activity in the 9th District Dental Society includes being elected Secretary from 2003-2004, Treasurer from 2004-2005, Vice President from 2005-2006, and President from 2006-2007. Outside the office, Dr. Wybenga enjoys spending time with her husband, Herb, whom she’s been married to since 1986, and their son Jordan. She and her family enjoy boating, running, biking, hiking and skiing. ▪ Graduated from Ferris State University 1985 with an Associate Degree in Applied Biology in Dental Hygiene. Ashley is a Certified Dental assistant. She started her career as a dental assistant in 2003. Since then Ashley has received her x-ray certification in 2006 and became a certified dental assistant in 2015 by taking the dental assisting national board (DANB) exam. Ashley is very caring when it comes to our patients. She feels it is important to educate patients about her treatment while keeping them calm and relaxed. Ashley knows she has done her job right when the patient leaves with a smile. Ashley lives in Mt. pleasant with her boyfriend Todd, her son Hunter, their German shepherd, Petie and their Pomeranian, Wiley. In her spare time, she helps her boyfriend Todd out on the farm and is always up for a road trip. 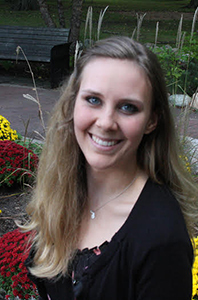 Kayla has been working as a Registered Dental Hygienist since 2013 when she graduated from Ferris State University. Kayla worked in public health as a hygienist prior to joining our team. Kayla’s warm and caring personality enables our patients to be comfortable and have a good dental experience. Kayla is a Mt. Pleasant High School graduate and lives locally with her boyfriend Nick, son Jackson, and their German Shepherd Ace. In her spare time, Kayla enjoys spending time with her friends and family, and traveling every chance she gets. Kaylyn started with our practice in 2016 as a dental assistant. She graduated from Zeeland West High School in 2012 and then went to a technical school for dental assisting. There she also received her x-ray certification. In the fall of 2016 Kaylyn married her husband Nathan. Some of her activities include taking her dog Jack for long walks, reading and playing card games with Nathan.